The call for a dedicated Bike-Walk Fund of $20 million in Chicago’s annual budget received the strongest support among respondents to a recent survey of Active Trans supporters and allies. The survey is part of Active Trans’ Walk and Roll the Vote Campaign, which educates candidates and voters about the city’s most pressing transportation issues. 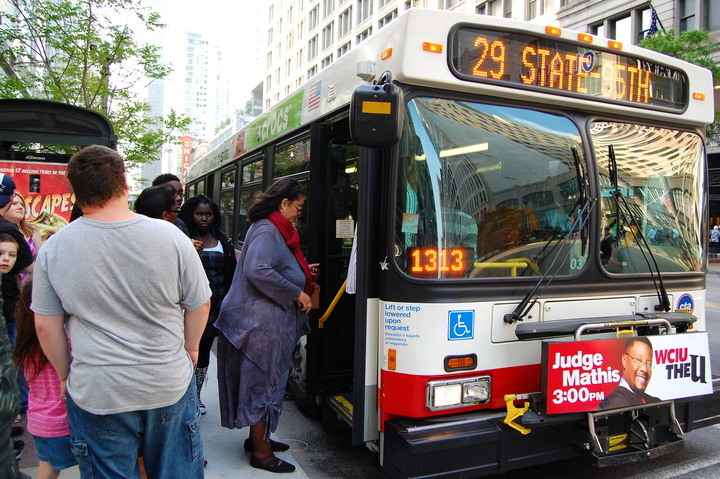 Active Trans is working with community partners from across the city to develop a game-changing transportation platform for the 2019 elections. Respondents agreed active transportation should be a priority for city leaders because it makes communities healthier, more sustainable and more equitable. An overwhelming majority (71 percent) of survey participants stated that they are equally passionate about all three potential benefits. Establishing a $20 million Bike Walk Fund in the city budget was the most popular potential policy change mentioned in the survey. The fund would be prioritized for projects on the city’s highest crash corridors, most of which are in low-income communities and communities of color. Sign our petition for a Chicago Bike Walk Fund. Building 100 miles of low stress bikeways for all by 2023 was the most popular among six potential infrastructure priorities. Chicago currently has 176 miles of protected bike lanes, buffered bike lanes and off-street trails, according to CDOT. There are 4,000 miles of streets in Chicago. The second most popular infrastructure priority was building a network of 50 miles of dedicated bus lanes. Currently, there are only 4 miles of bus lanes in Chicago, which pales in comparison to peer cities. A continuous biking and walking trail along the full 27-mile length of the Chicago River’s north, south and main branches was the third most popular priority. Stay tuned for the release of the platform in November and learn how you can help make these ideas a reality.